Happy Friday, everyone! My Mama, Madeline and I made it to Atlanta for a fun girls weekend full of shopping, good food and a few other fun activities for Madeline. Last night, I was able to go to Nordstrom and see the amazing Anniversary Sale collections in person. I picked up my order that I placed online yesterday morning and took along some other amazing pieces with me as well. I know I say this every year, but when I get to Nordstrom and see the collection in person, I always see pieces that didn't originally catch my eye online. But in person, I LOVE them! I overall prefer shopping it online since so many of the pieces I loved this year weren't available in store. I tend to always think of the Anniversary Sale as a way to buy up the newest fashions for fall. But every year, I'm quickly reminded that the collection of baby gear is absolutely incredible! Most of these brands never go on sale and aren't included in the coupons at Buy Buy Baby. So this is an awesome way to get some gear for a deal! 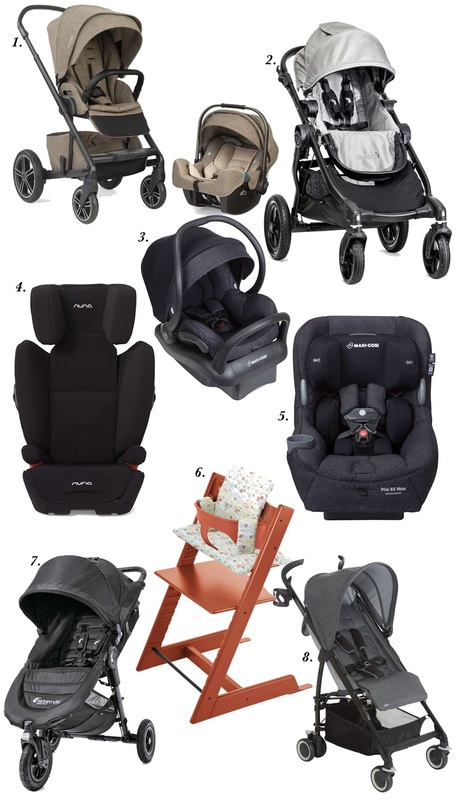 Madeline's car seat model, the Maxi-Cosi Pria 85 (which I LOVE), is included in this sale. I also can't get over what a great price the Mixx 2 stroller and infant carrier system is. I used the Nuna Pipa with Madeline and loved it! If you're a mom-to-be, this would be a great investment. There are some great essentials included in the Anniversary Sale! First off, I absolutely love products from the Honest Company. 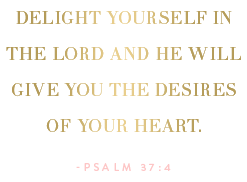 This starter kit is such a steal and is a great way to try out Honest products. It would also make an amazing baby shower gift! How cool is this up & go booster seat?! I wish I had known about this a year ago. I ordered this mermaid blanket for Madeline, because she loves the Bubble Guppies and is always talking about having a fist tail haha. The baby bling headbands are also included in the sale...Madeline used to wear these all the time as a baby. Madeline also had one of these Luxe baby blankets and it's the softest thing! And lastly, I'm so excited to see that these EZPZ feeding placemats are part of the sale this year! We use these all the time, and they're awesome!!! 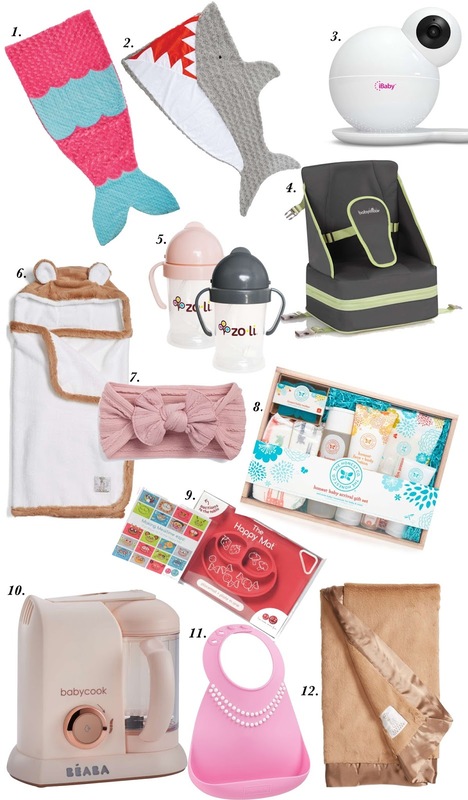 So many great essentials to stock up on or purchase if you're looking for a baby gift idea. 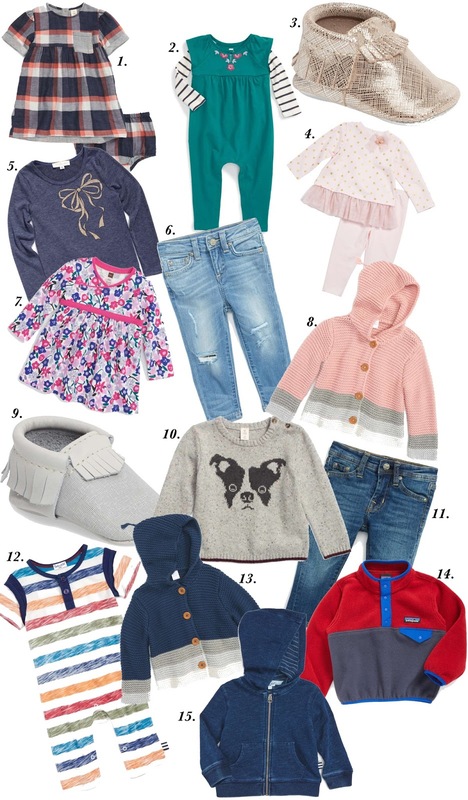 Okay don't get me started on the cute things available for toddler girls in this sale! I have already gotten madeline some adorable things, but there are still some other pieces I want to get for her. 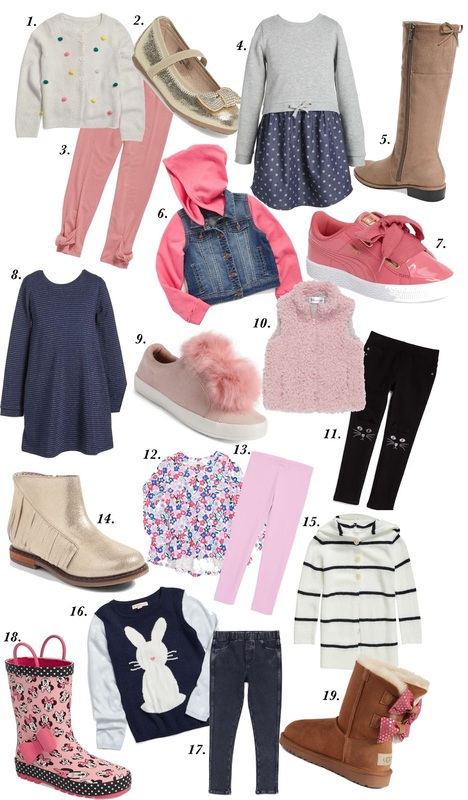 I love that there are a bunch of mix and match tops, sweaters and leggings in the sale. Well that's about it for my picks in the Anniversary sale for babies and children! This sale is an excellent opportunity to stock up on fresh fall finds for the whole family. 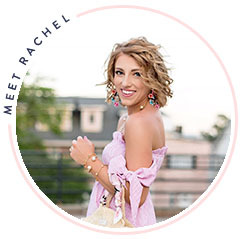 And don't forget that I shared all of my favorite picks for women + a huge giveaway yesterday! If you haven't entered yet, see yesterday's blog post to enter for a chance to win. 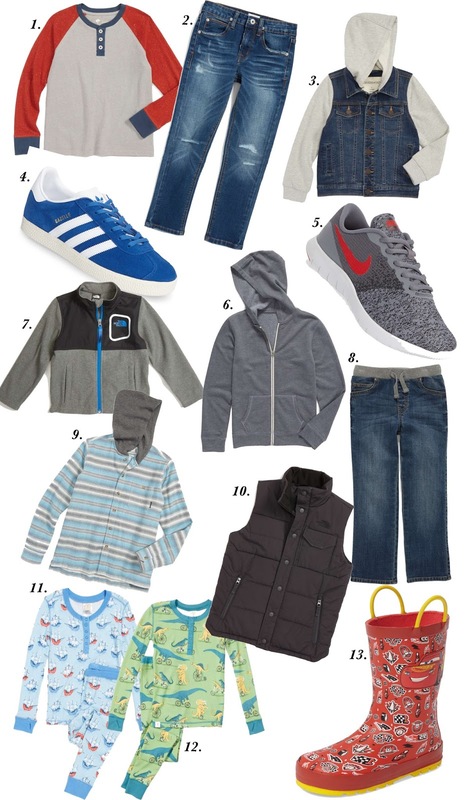 I'm giving away $300 in Nordstrom gift cards and am picking two winners (a $200 & a $100). Hope y'all have an amazing Friday!